We’re half way through the 12 Months of Thrifting Challenge! How’s it going for you? Are you getting the most of out your purchases? If I had to narrow it down to the top 3 items on this list, a black pencil skirt would make the cut. It’s one of the most essential prompts in the challenge, so don’t skip it! I wear my black pencil skirt about once a week to work, each time changing how I wear it so it looks like a new skirt every time! First let’s define what a pencil skirt exactly is. A pencil skirt is a narrow, straight skirt. They are supposed to be fitted and snug on your body. A fitted skirt? Sounds awful right? No! Pencil skirts make you look polished, professional, and best part – they are flattering on ALL body types. 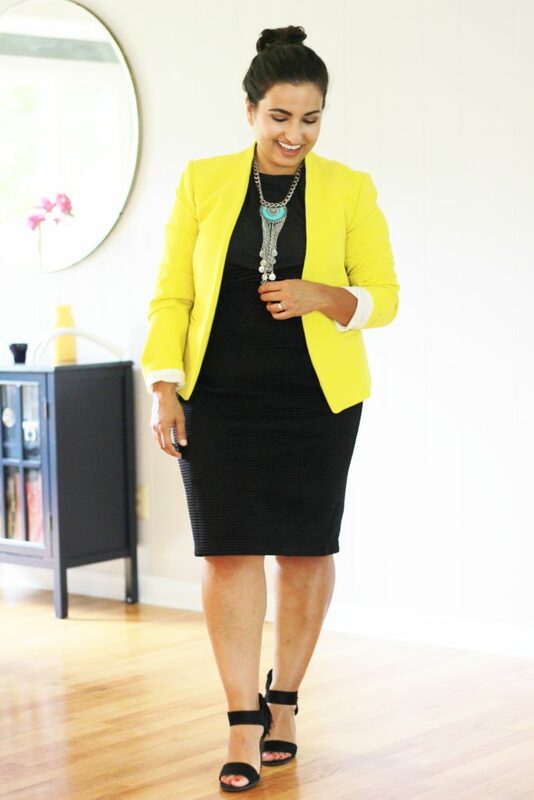 How to thrift a black pencil skirt. Take your time. Thrifting anything black takes some concentration and time. Most thrift stores, including Goodwill sort their clothing by color and after a while, black items start to blend in together on the rack. When I’m shopping for anything black, I always make sure that’s the only thing I’m focusing on that day. You want to take your time and look through every item. Look for brand names. I’m usually pretty indifferent when it comes to labels but this is one of those times where I advocate for brand name, high-quality pieces. In order to get the most of your skirt, you want it to last for a long time. Touch the skirts to look for durable materials and check the labels for brand names. 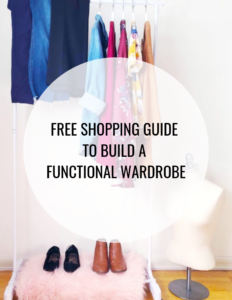 A great way to familiarize yourself with brands is to browse through luxury websites online like Saks Fifth Avenue, Nordstrom, and Neiman Marcus. Find the right fit and material. It helps to do some research and seek some thriftspiration beforehand. Different body shapes respond better to certain materials. I prefer knit / spandex mix pencil skirts for comfort and a little stretch. Shape wear is your best friend. Tuck in your shirt for a polished, streamlined look. Add a jacket that hits right at the waist. If you don’t feel comfortable tucking in your shirt, try a peplum, wrap top or a fitted top with a jacket. Heels or boots always look great with a pencil skirt. But if you don’t wear heels, wear your favorite flats. 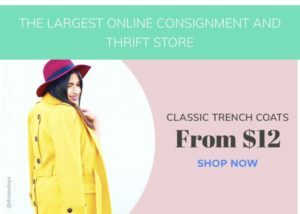 The 12 Months of Thrifting Challenge is designed to help you build a thrifted wardrobe, month by month. Share your finds using the hashtag #12MonthsofThrifting and stay tuned for our next prompt!